Once an exporter of oil and gas, Egypt is now struggling to meet its own energy needs. The growth in energy consumption is a response to the country’s economic expansion, industrialization, and change in people’s life style. Although all energy forms have been subject to high growth, electricity consumption has increased substantially causing serious concerns over the power sector’s fuel mix, heavier reliance on fuel oil, and an unaffordable burden on the government budget. As a result the government is determined to diversify the energy mix and to improve the efficiency of electricity consumption. It has also recognized that energy diversification and efficiency can impart other benefits such as cleaner environment, transfer of advanced technologies, and possible new areas of manufacturing and services. 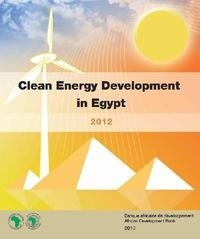 This report reviews the opportunities and challenges involved in improving energy efficiency, developing renewable energy resources and promoting the local manufacturing of the corresponding equipment in Egypt. All whitepapers are available to you and free of charge. This whitepapers is provided by AfDB - African Development Bank Group.